Rescuers are being applauded for their fast and immediate response to save people or even animals that are in danger. They usually operate when an accident happened or when natural calamities occur. It is common for animals to escape earlier before a catastrophe happened because they have a strong sense and they have what they called ‘animal instincts’. They usually know a calamity would happen before it did that is why they have ample time to escape. However, an adorable raccoon was trapped under a fallen tree because it is not able to run fast to a safer place before the windstorm arrived. Maybe he is running that time to escape, but the tree had fallen on his place that is why he is trapped underneath. Luckily, a group of rescuers was passing by that area where the raccoon is trapped under the fallen tree. They saw the little creature voicing out for hell while he is hidden under the trunk. They immediately lift up the trunk by hand trying if they can manage to lift it without any tool. 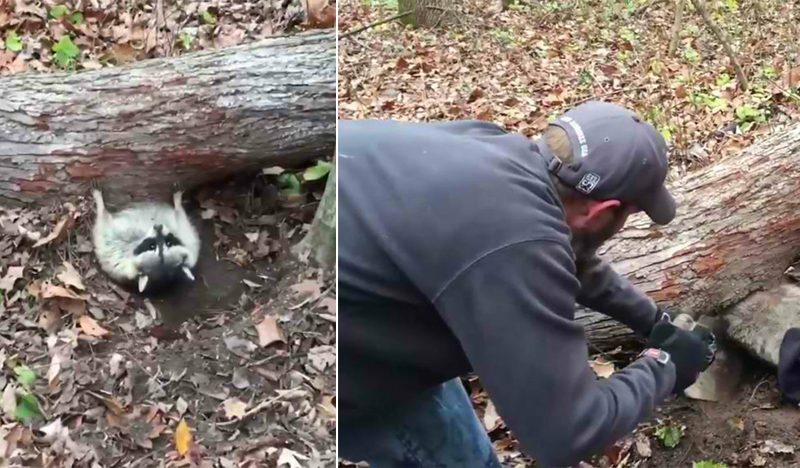 This rescue was being documented through a video camera, and it can be seen in the footage that the raccoon is patiently waiting for the human's actions on how to save him. 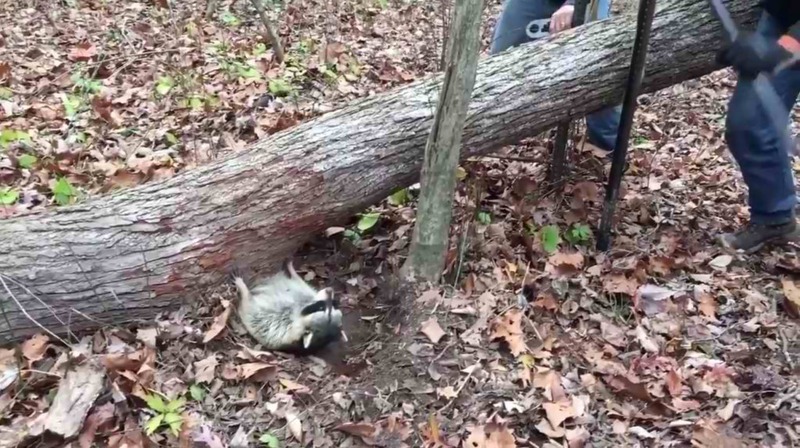 When the rescuers tried to lift up the trunk, it can be seen that the raccoon is also pushing up its little hands as if he was helping the rescuers. 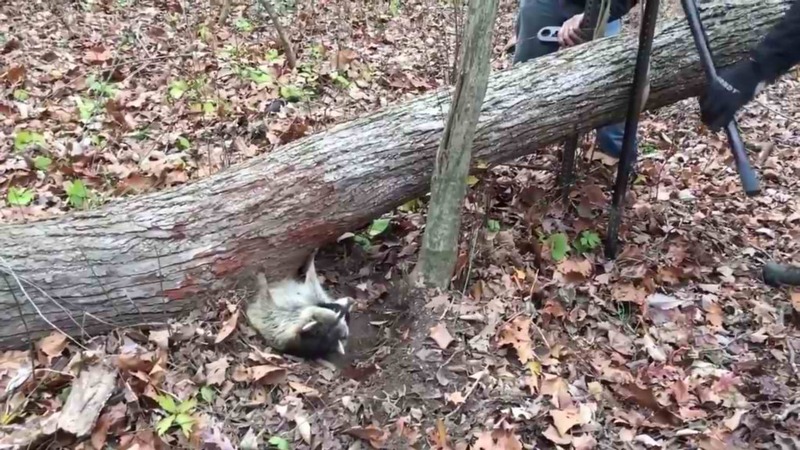 The rescuers had a hard time in lifting the trunk using their bare hands because it was heavy for just the two of them, so they just decided to dig a hole to free the raccoon from being trapped. This is the fastest way they can save the animal, and in a matter of little time, they were able to dig enough hole for the raccoon to come out underneath the trunk. It wiggles his body as if stretching and thanking his rescuers for saving him from being trapped under the fallen tree.